Need help deciding on the right exterior door or frame for your home or office? We have a number of options in a wide variety of materials for you to choose from for today’s sturdy and stylish exterior doors and frames. Unlike those other guys, we’re not here to talk you into the most expensive exterior door we offer. If your door is under a carport and never sees rain or snow, we’re not going to push you into spending the money on a weather-proofed solution that’ll cost you and arm and a leg. We use our extensive knowledge with real-life experience and work directly with you to find an exterior door option that fits your project budget, timeline, and taste. Our goal isn’t to sell a door, it’s to find a solution to your exterior door problem as painlessly as possible. We want you to have a door you’ll love, a door that will last you for years to come. *These estimates are subject to change based on the exterior door you select. My exterior door is faulty, I need a new one. Most of the time when an exterior door starts going bad, the frame is the biggest part of the problem. Typical door frames of the past were 100% wood and often do not last more than 10-15 years unless they happen to be well-protected from the weather. If this sounds familiar, come in and talk to us about the problems you’re experiencing. We know doors! We offer the latest in door frame technology and can help you determine the best door and frame for your situation. 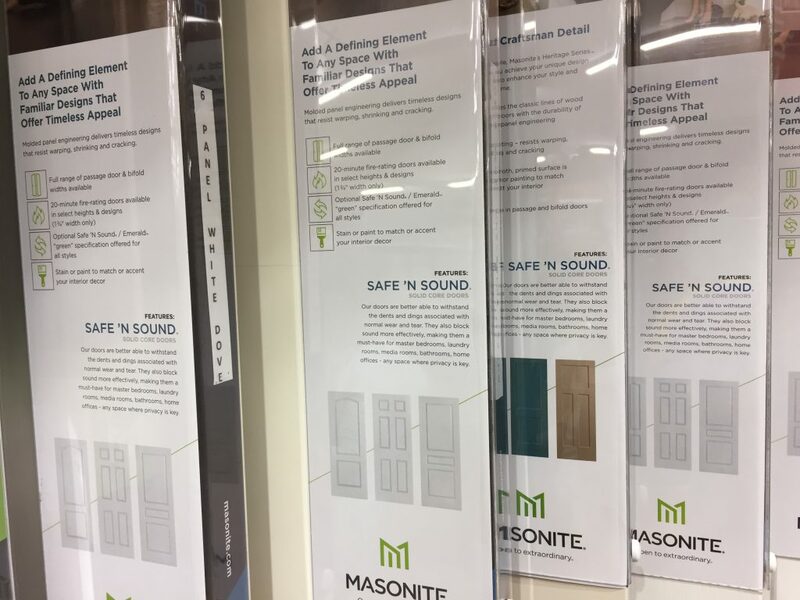 You’ll be hard pressed to find someone as caring, knowledgeable, and dedicated as we are in guiding you through the huge range of design and material options available for finding the perfect exterior door. 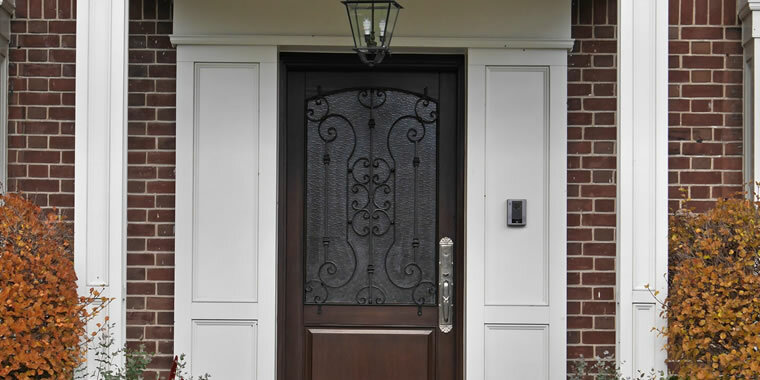 If you’re curious what an exterior door would cost, you can come in, with or without exact measurements, and we’ll get you a close estimate for an exterior door or frame within minutes. Different warranties are available depending on your exterior door’s manufacturer. 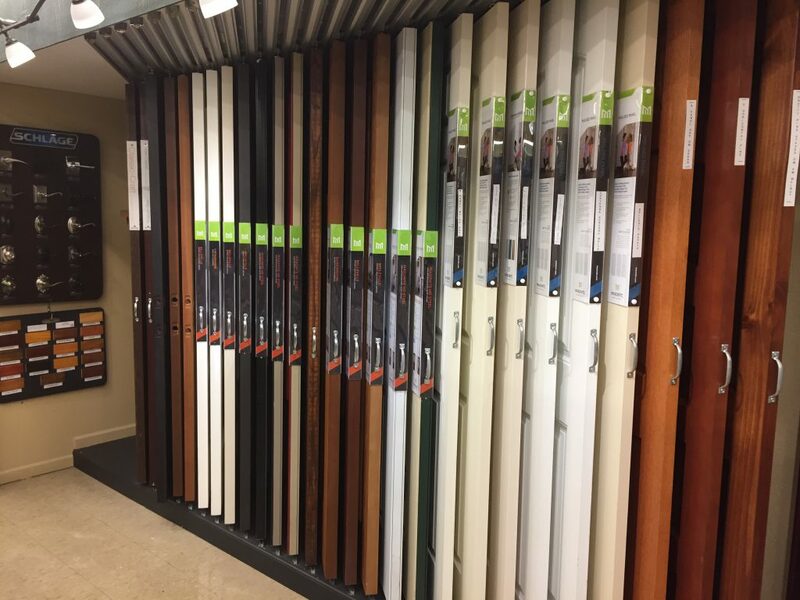 Our experienced staff is here to provide additional information for you throughout the process of selecting your exterior door. From a single exterior door to patio doors, our installers are the absolute best at what they do. To us it’s about more than just installing a door. We’ll respectfully maintain a clean work environment and efficiently work throughout the installation process while in your home or office building. More of a do-it-yourselfer? No problem. Just ask us how and we’ll talk you through the measurement process to ensure you order the correct size for the best possible appearance and functionality.